Addiction is a living nightmare for both men and women. However, there are real differences in the development of substance use disorders in men and women, how they experience the consequences of their use, and their particular needs for treatment and ongoing recovery. Below, take a look at the major differences between men and women with substance use disorders and the importance of gender-specific addiction services. Today, we know that there are a number of biological differences between men and women that impact the development of addiction. Women develop alcohol-related dependence faster and with a lower amount than men do. This is because women generally have more body fat and lower volume of body water to dilute alcohol. Women also develop health-related problems, such as breast cancer and nerve damage, due to substance use faster than men do. Psychologically speaking, women are more likely than men to have co-occurring substance use and mental health conditions. 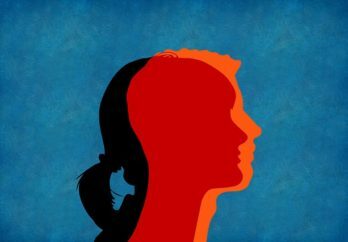 Women more often meet diagnostic criteria for mood disorders, depression, agoraphobia, PTSD, anxiety and eating disorders. They are also more likely to have been sexually or physically abused or experienced interpersonal violence. Rates for sexual abuse in childhood and adulthood are reportedly higher in women than for men. These experiences can have a large impact on the what types of services they require during their recovery. This includes clinically-sound, trauma-informed programming that treats addiction alongside other mental health conditions. Trauma-specific intervention programs generally recognize the interrelation between trauma and symptoms of trauma, such as substance use, eating disorders, depression and anxiety. Perhaps most importantly, we know that women are more stigmatized for their substance use conditions. They report higher feelings of guilt and shame surrounding their substance use. These feelings are often related to the gender-specific roles, often associated with caregiving. Many women also tend to have one parent who has abused substances, which may factor into the development of addiction. If you’re looking for treatment for your daughter, niece, granddaughter or another young woman in your life, and as a result of the significant differences in the way in which substance use conditions present for women, consider services that are tailored to women’s needs and obstacles they experience. Services for women in substance abuse treatment should include women-only programming (due to trauma history and other issues), strong female leaders and providers, peer support and cultural training and programming that addresses the unique needs of women in treatment. Regardless of age or race, men use alcohol and drugs more frequently and in greater quantities than women. They often start using alcohol and other drugs for different reasons than women. For many young men, male institutions and social rites of passage (sports, fraternities, etc.) encourage the use of alcohol. Men generally start binge drinking at an earlier age than women. Binge drinking is also more prevalent in men and is more likely to result in alcohol-related problems. Due to higher frequency and quantities as well as binge drinking habits, men are five times more likely to develop a substance use disorder. Though we know that although men are less likely to be forthcoming, many have significant histories of childhood physical and sexual abuse or current victimization by domestic partners. They are more likely to die from suicide, despite being less likely to attempt suicide. They often feel excessive amounts of shame when dealing with emotional and substance abuse problems, making it less likely that they will seek out medical or behavioral health counseling for their problems. Once in treatment, men often struggle with talking about their emotions and how to deal with them appropriately. If you are looking for treatment for your son, nephew, grandson or another young man in your life, consider programming that addresses effective communication training, sexual identity issues and skills for managing difficult emotions. Also look for mental health services that address sexual issues, PTSD and anger management. Like with women, all-male group therapy has proven to be highly effective and structured activities with other men can provide the necessary peer support. Individual therapy with a positive male role model as well as female clinicians who model appropriate female-male relationships are also beneficial in the recovery process. There is a significant disparity in substance use disorders rates between men and women. These differences range from greater access and opportunity for use to increased social pressure and possibly a greater genetic disposition to use substances. Men and women may find that they benefit, in critical ways, from having gender-specific programs available to them. Men and women do better in treatment and continued care when they have treatment customized to meet their particular needs. If your child is transgender or identifies in another way, it’s especially important to find programming that is LGBTQI-sensitive and trauma-informed. Recovery and positive clinical outcomes are possible with more specialized care. The road to recovery isn’t the same for everyone, regarding gender or otherwise. 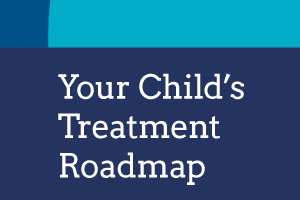 Learn how to select the best possible treatment for your child’s unique situation with this PDF guide. About the Author: Since 1996, Deb has dedicated her entire career to the study and treatment of substance use and mental health issues affecting people of all ages. She is a certified addiction specialist who has worked as a crisis hotline volunteer, discharge planner, therapist, director of case management, and as a clinical supervisor. Deb received her Master’s in Social Work from Simmons College and trained at The Harvard School of Medicine’s Division on Addiction. Deb served as Substance Use Director at one of the largest behavioral health agencies in Florida before coming to Origins.